In The Dying Time, Bernard Schopen delivers a thrilling and contemplative addition to the Jack Ross series. Jack Ross has settled into his old age as well as anyone can. He jogs. He eats right. He naps. He no longer involves himself with the actions or the people that have developed into a "nasty notoriety." That is until Alicia, Ross's ex-wife and sister of Jack's best and ailing friend, receives a potentially earth-shattering letter. A young woman, Mia Dunn, believes that Randall Barnes, Alicia's deceased husband, might be her father. Reluctantly agreeing to discover the truth of these claims, Ross soon finds himself embroiled in a plot stretching back decades, and it's not long before old habits come to the surface. 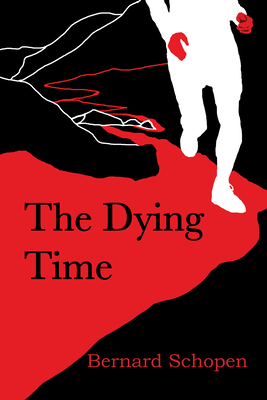 The Dying Time is a poignant observation on the process of aging, astute and insightful as it is suspenseful intrigue. This novel asks how people come to create an identity and if we can ever truly bury the past. Can hurt stay hidden? How about the money? In a wonderful addition to the Jack Ross Series, Bernard Schopen is running on all cylinders as he weaves his plot with the golden thread of truth. In The Dying Time, the power of fiction is manifest. Here is a masterly yarn that keeps you guessing while always touching on something profound and inevitable in us all. Bernard Schopen was born and raised in Deadwood, South Dakota. He attended the University of Washington and the University of Nevada, Reno where upon receiving his Ph.D. in English he taught for many years. He is the author of three Jack Ross novels, as well as a study of the novels of Ross McDonald. His last novels, Calamity Jane, and The Last Centurion were released By Baobab Press in 2013 and 2018, respectively.